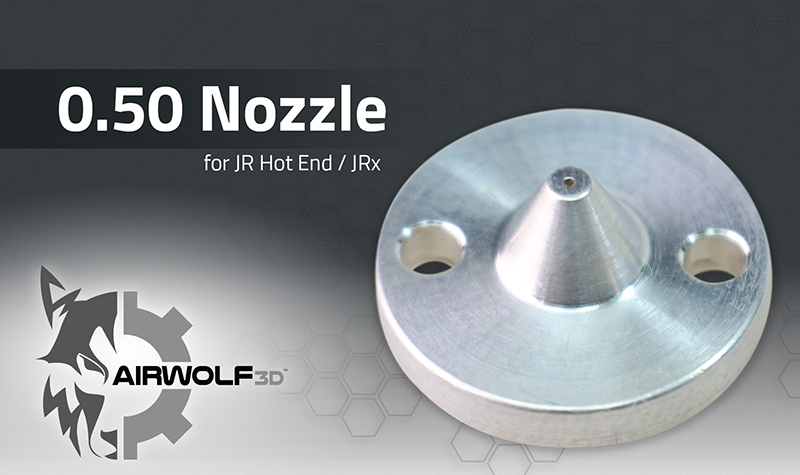 Nozzles are available in .80mm, .50mm or .35mm sizes for your 3D printer’s JR Hot End, JRx Hot End, or AXIOM. 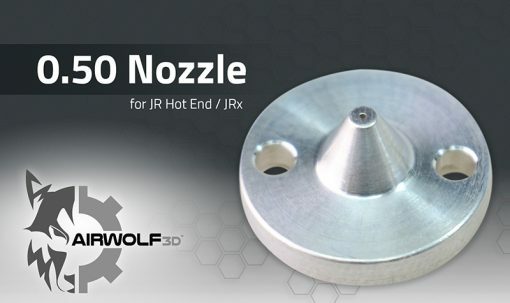 What’s the Difference Between ‘Standard’ and ‘Heavy Duty’ Nozzles? 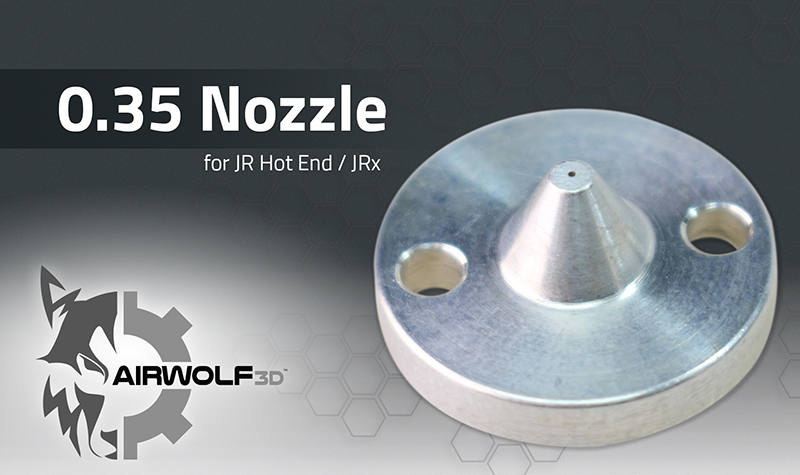 The standard nozzles are made from 6065 aluminum and are great for printing standard materials on HD and XL series printers. 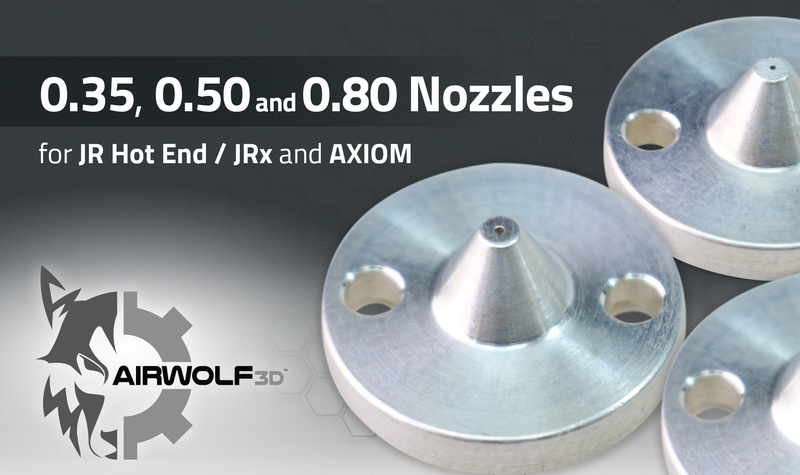 AXIOM printers require a more heavy-duty nozzle to withstand the wear from the machine’s integrated wire cleaning brush. 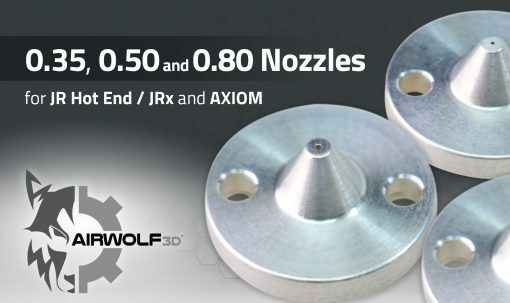 The Heavy Duty nozzles are made from 7075 aerospace-grade aluminum and are not only recommended for the AXIOM, but also for older machines used to print abrasive materials like ESD ABS, metal- or wood-filled materials, and carbon fiber-reinforced filament. What Nozzle Size is Right for My Machine?